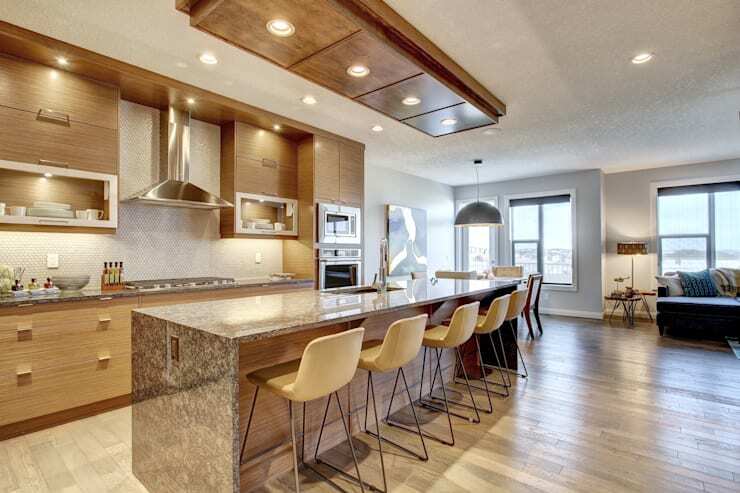 This impressive Calgary home shows what $10,000 can accomplish! 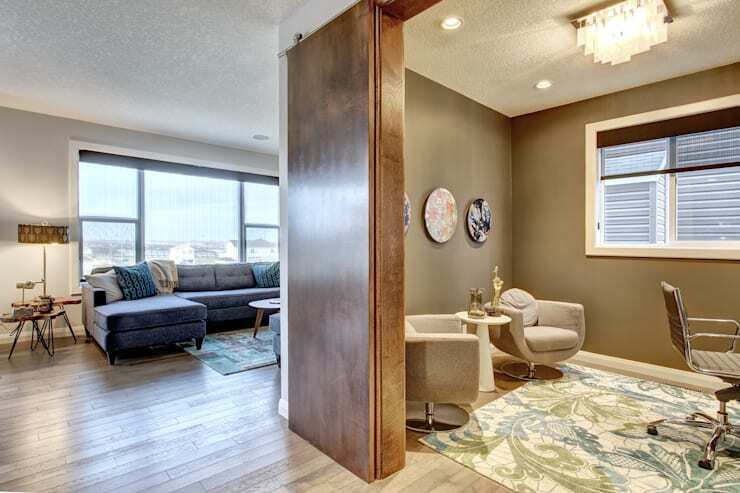 Today, the interior designers from Sonata Design bring you a stylish Calgary interior that’s filled with feelings of artistry, abundance, and quality craftsmanship. 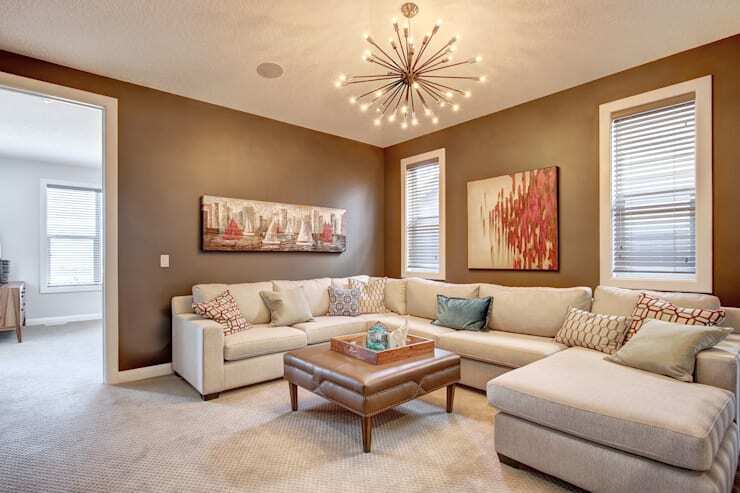 An interior redesign ringing in at $10,000, the upgrades that have been undertaken in this job have created an environment that offers a comfortable and familiar environment, while maintaining a sense of luxury and refinement. 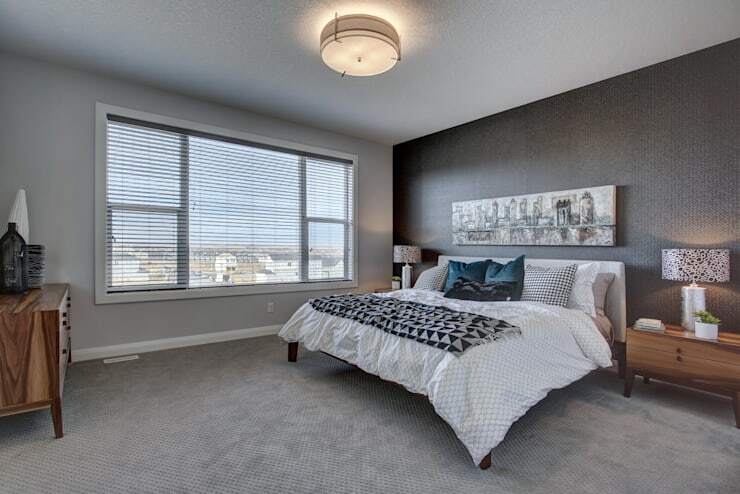 Sonata Design was responsible for the blinds, wallpaper, drapery and upholstery. Notable for its wide variety of materials and themes, this home captures a different feeling in each of its rooms that corresponds well to its given function—the living room is rich and familiar, the dining room enjoys a sense of artistry and grandeur, the kitchen offers a brilliant, polished atmosphere, etc. As you move from room to room, you’ll find that you’re transported into different worlds, where subtle shifts in colour scheme, furniture design, and materials give each space an appropriate and unique personality. Positively luminescent, this brilliant kitchen provides its residents with a well-lit and highly functional environment. A granite island provides a durable, easy-to-clean workspace, with a warm wooden cabinets countering the coolness of the smooth stone. Polished in every way, this space displays a sense of familiar tradition through its use of natural materials, with a modern energy infused into its bright lighting and assortment of crisp, clean shapes. In this image, it’s easy to see how these designers have carefully curated the spaces of the home to communicate different aesthetic themes. While the office/lounge offers up a decadent atmosphere cultivated by fine art and rich golden tones, the living room beyond offers a scene of simplicity, with cooler blues and purples creating a calming atmosphere. 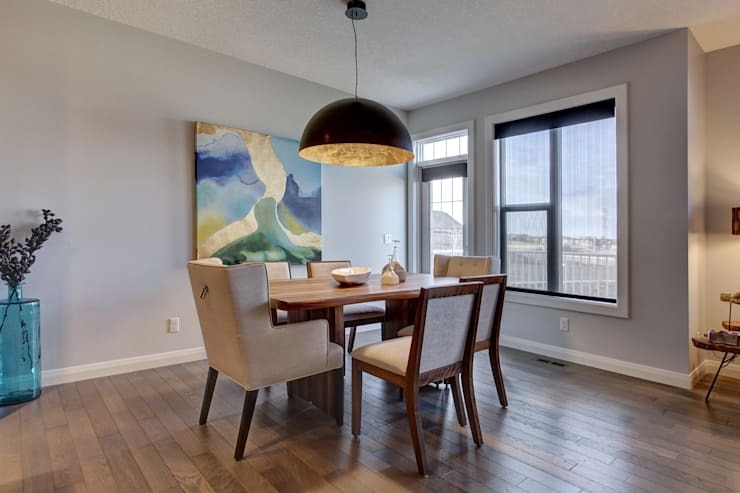 Artistry and grandeur fill this dining space—although simple and minimal in nature, the room is elevated by the golden glow of the central hanging lamp and enhanced with the addition of a large work of abstract art. Despite the cool serenity of these blues, teals, and purples, this living room still provides feelings of warmth through the use of plush, silky, and velvet-like materials. 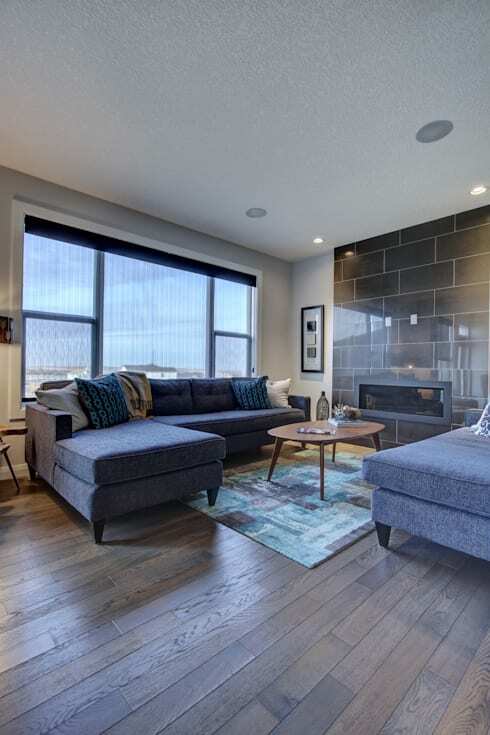 Enjoying its own little corner of the home, this space is well-defined with the placement of an L-shaped couch that acts to enclose the space in its own intimate, fireside environment. The contrast between these two living room spaces is evident as you travel from the sophisticated, cool calmness of the previous room to the warm energy of this second living room. Here, leather, canvas, and desert Earth tones contribute to an Earthy environment that’s all about being in the comfort of your own skin. 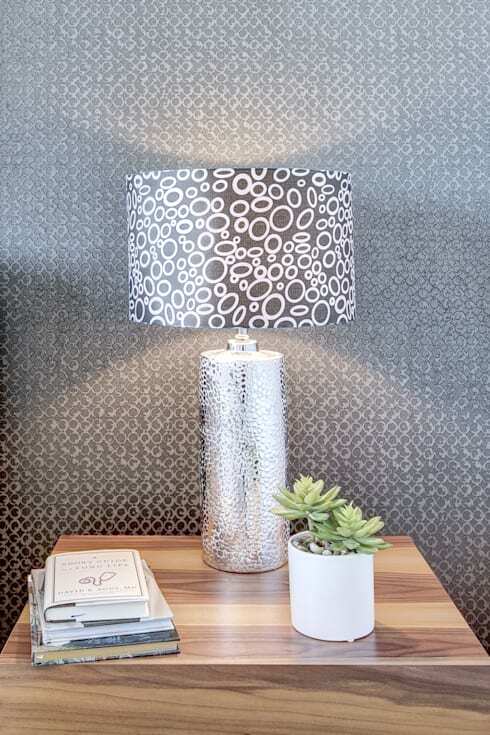 Entering the bedroom, you notice a shift towards a sedating grey palette, with black and white details adding playful patterns to the otherwise subdued and neutral space. With a range of grey, this bedroom clearly offers more than first meets the eye, as the neutral colour scheme has allowed these designers to incorporate an extra level of complexity with the layering of intricate patterns and textures. Share your thoughts on this interior design below!